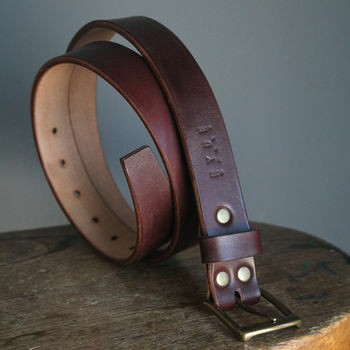 belt length belt length (required)20"21"22"23"24"25"26"27"28"29"30"31"32"33"34"35"36"37"38" belt length (required)20"21"22"23"24"25"26"27"28"29"30"31"32"33"34"35"36"37"38" belt length (required)20"21"22"23"24"25"26"27"28"29"30"31"32"33"34"35"36"37"38" belt length (required)20"21"22"23"24"25"26"27"28"29"30"31"32"33"34"35"36"37"38"
Introducing the only belt you'll ever need! 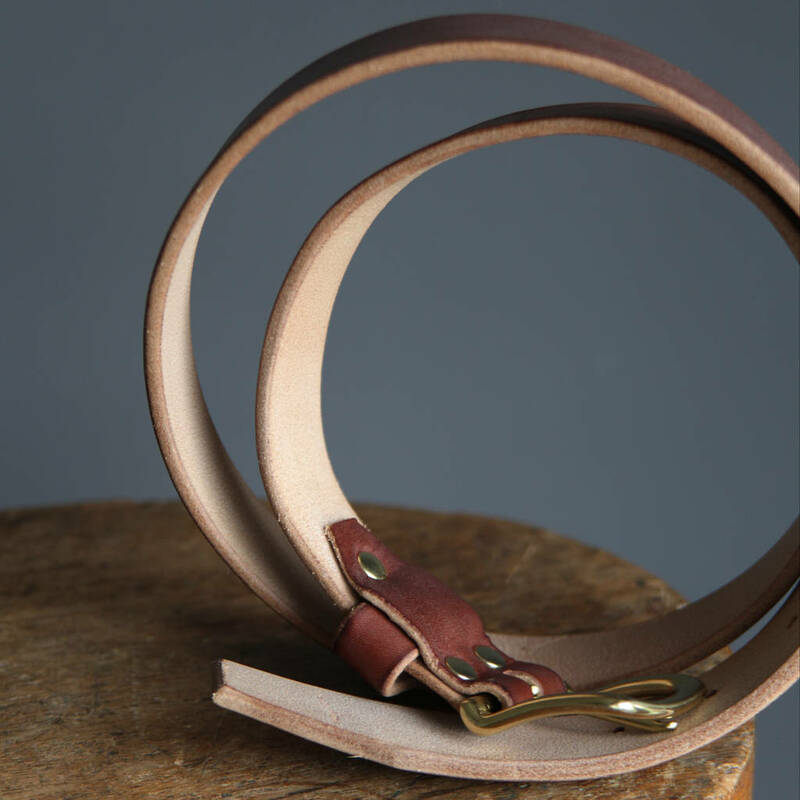 Designed to last a lifetime; from strong and eco-friendly oak-tanned leather, produced in Devon. 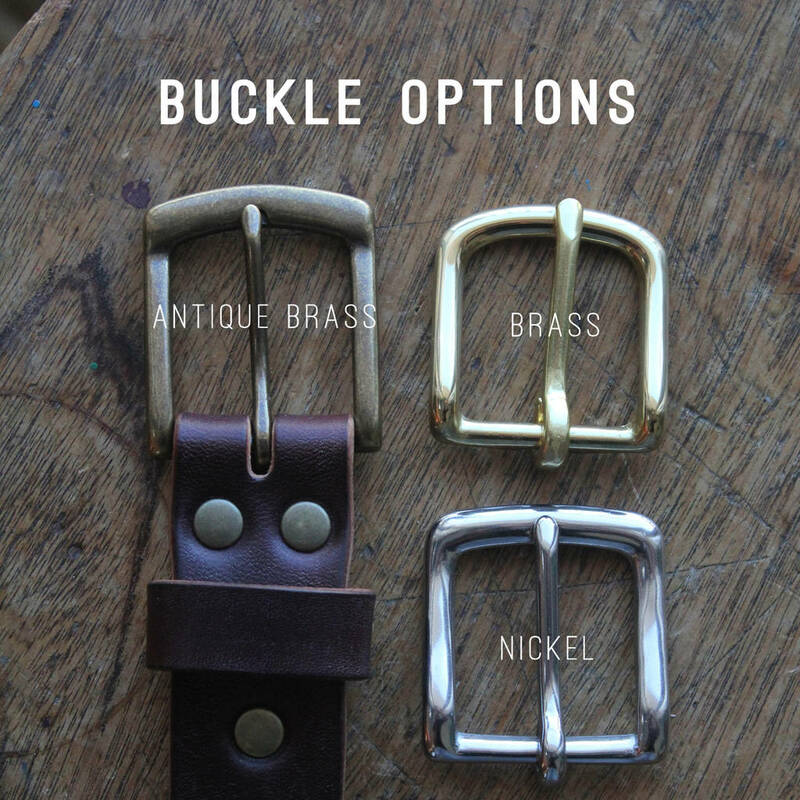 I hand make all items from my workspace at home, no need for machines. The edges are hand burnished to smooth and a final layer of beeswax is added to complete. 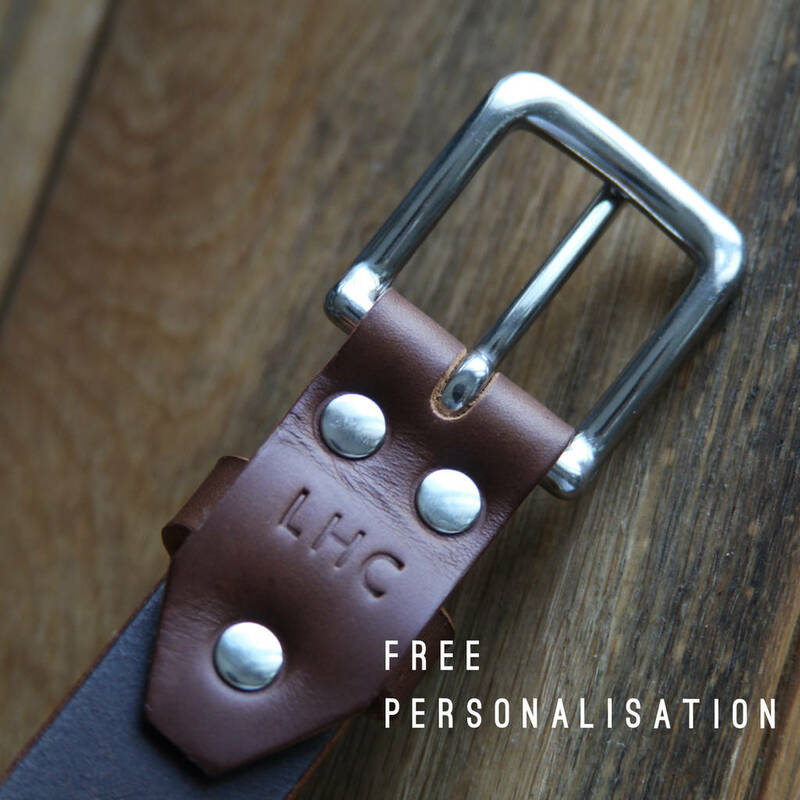 Please let me know if you'd like your name or initials stamped onto the item, free of charge! Only available in Caps and a maximum of 4 letters. 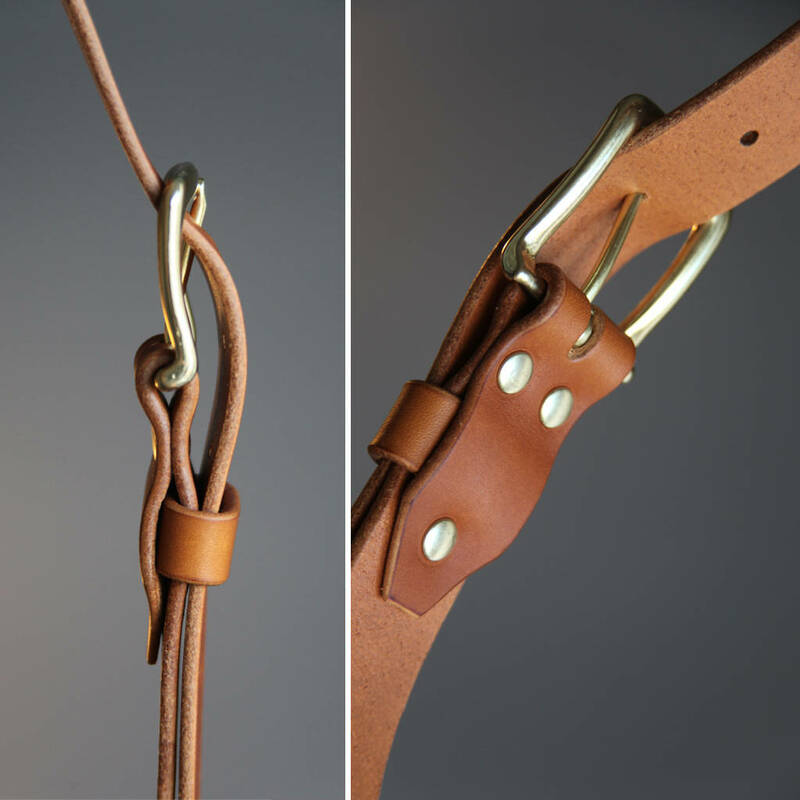 The ancient craft of naturally tanning leather is complex and fascinating. 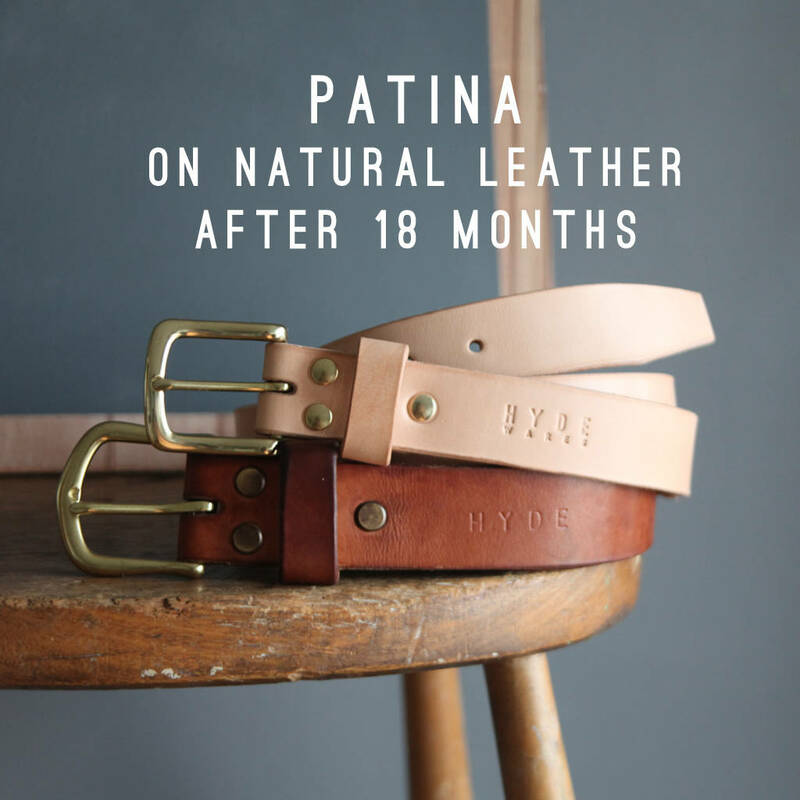 Only natural materials such as leaves and husks are used to dye the leather, after which, each hide is hung for several weeks. This is compared to the globally dominant method of Chromium tanning, which reduces the process to a mere few days. 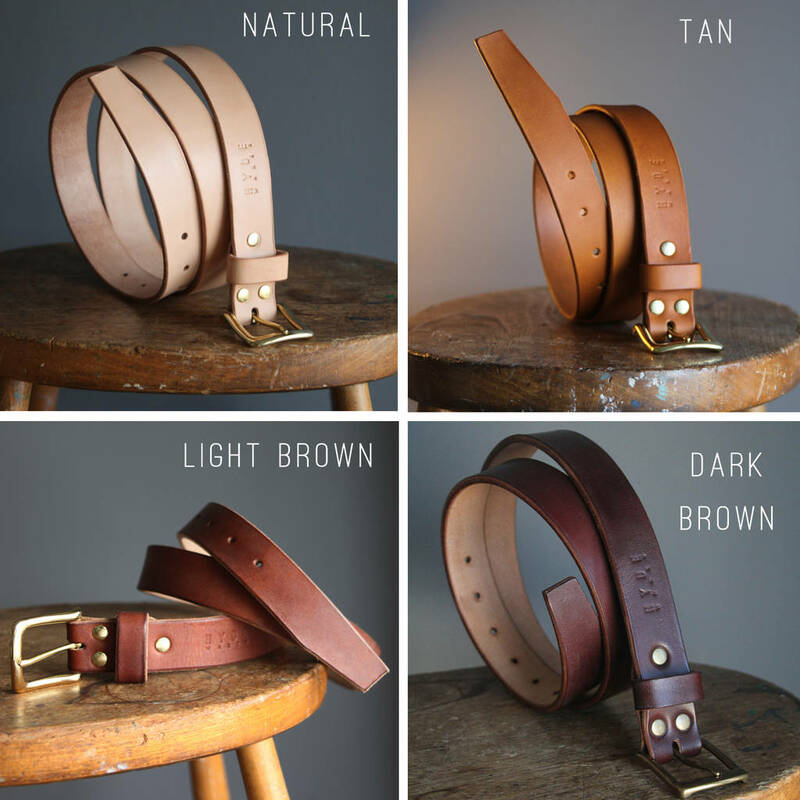 Whilst certainly time-effective, it is important to me to try to avoid using chrome-tanned leather, as the vast use of chemicals in this process is very harmful to the environment, our waterways and oceans. 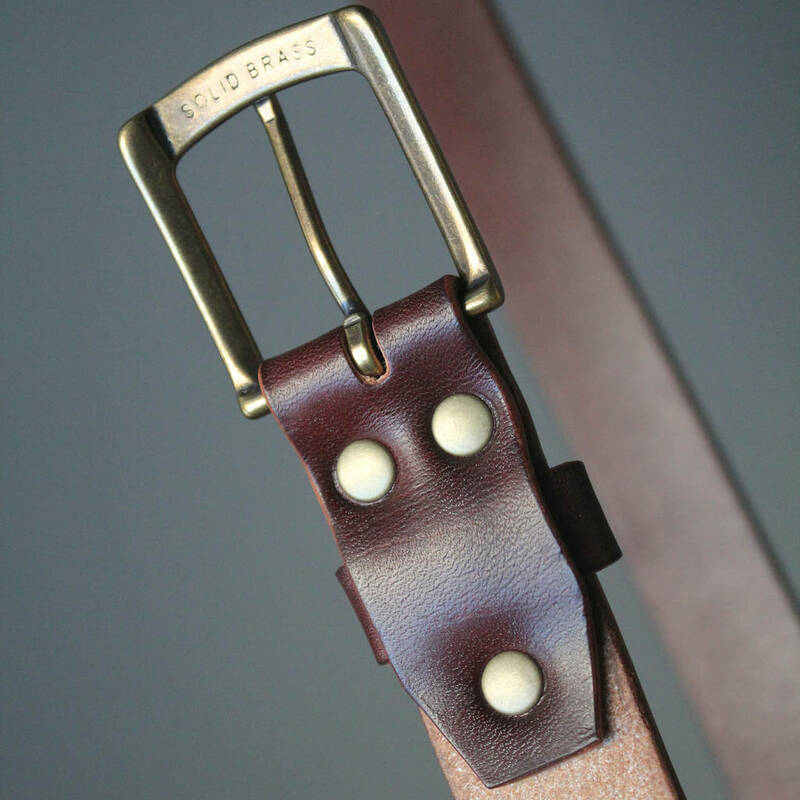 Apart from this being an ethical choice, it’s very much aesthetic and practical – veg-tan leather is beautiful, often displaying the history of life through scars and imperfections. 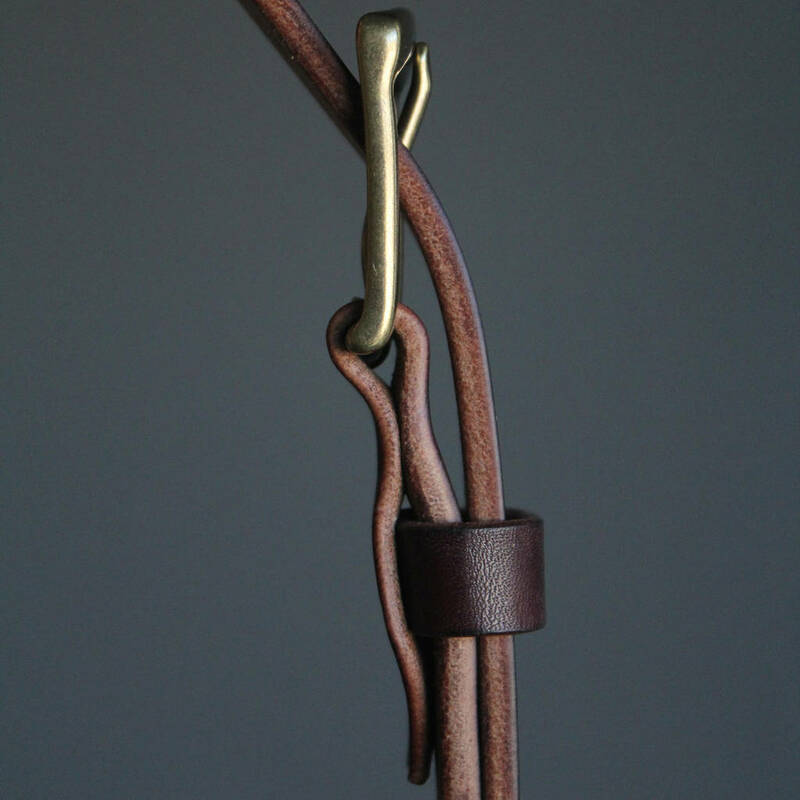 The material will develop a wonderful patina unique to each owner and after years become a treasured object. 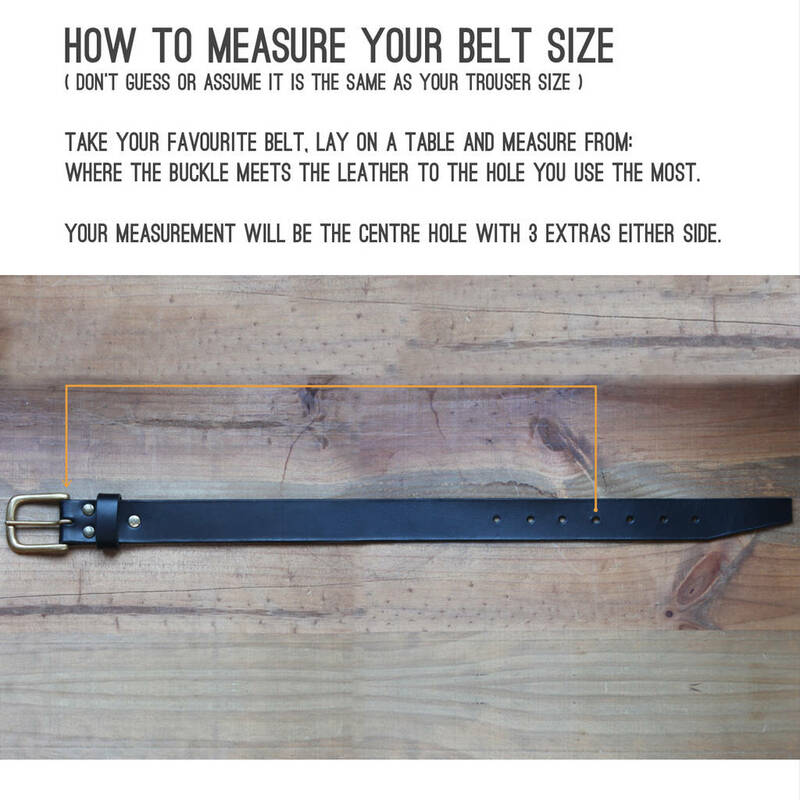 B) the hole on the belt that fits you best (this will be the loosest, or most stretched out hole) . 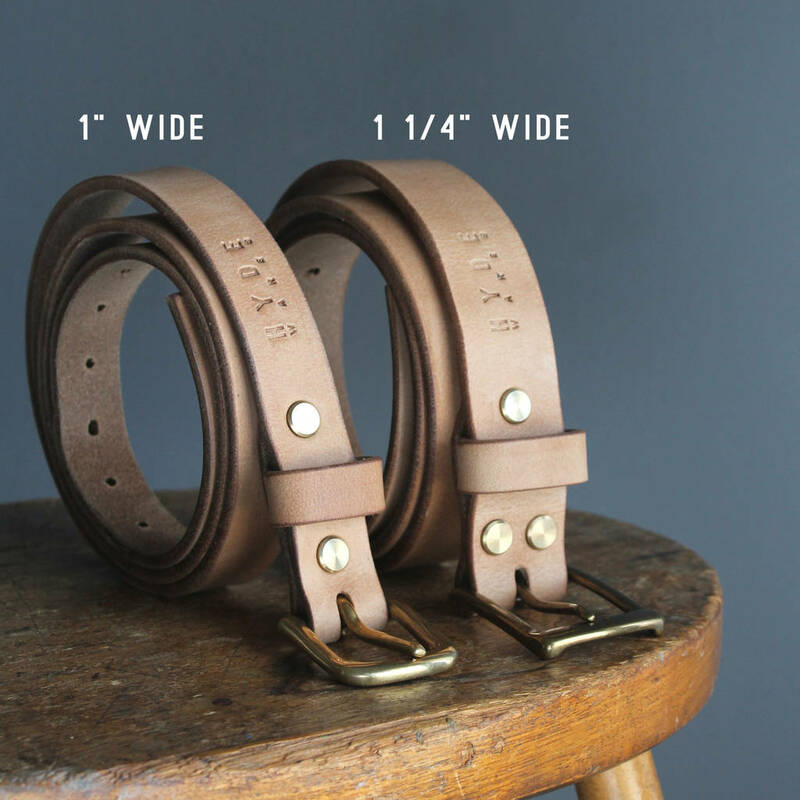 Your belt will come with seven adjustment holes with yours being the middle one. Please contact me via the 'ask seller a question' button if you have any questions or specific requests. 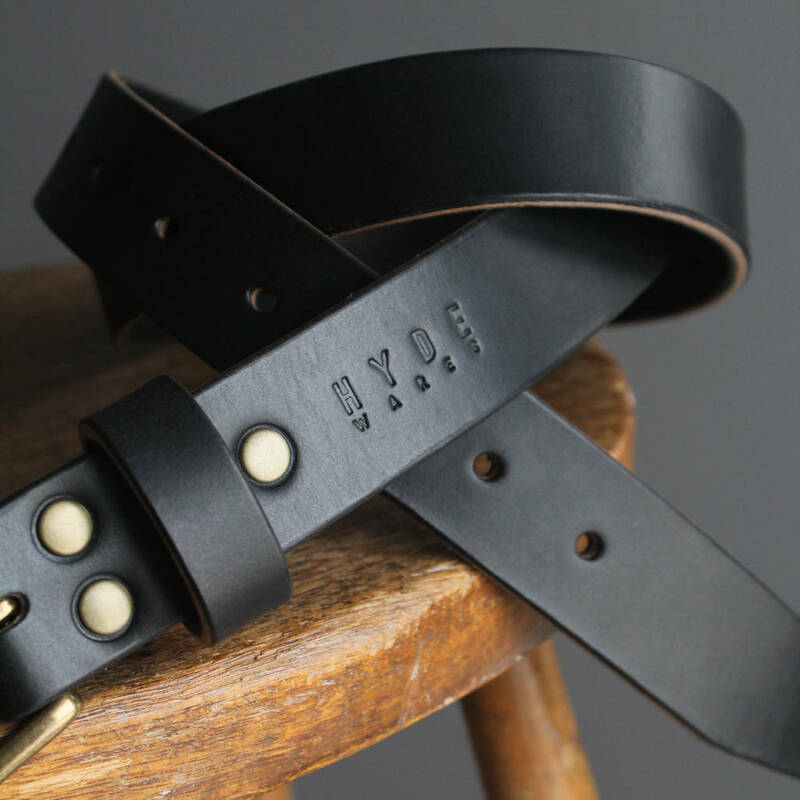 This product is dispatched to you by Hyde Wares.